Surfing on the edge of cultural diplomacy, the Maori graced Venice for a two week show at The Rose Room. If you had a chance to see them do morning haka’s at the skate park, performing modern interpretations of traditional folksongs or maybe getting your own personalized moko (tattoo) you were lucky. The “Tuko Iho, Living Legacy” exhibition featured more than 80 pieces of art using wood, bone, stone and flax mediums, handcrafted by students and teachers at New Zealand Māori Arts and Crafts Institute (NZMACI). We begin our 5 questions with Arekatera “Katz” Maihi about identity, history, the indigenous struggle and Venice. 1. One of the things you are working on is a project for the United Nations, a 4.5 ton 16 foot high 3D wooden carving being caste in bronze that is being gifted to them. You’re giving Venetians here tattoos but you are also sculpting this offering?? Arekatera : Yup, it’s a symbol of myths representing independence and our struggle of not only Maori but all indigenous peoples in our traditional forms showing we’re not going to go away and we will last as long as the world will. We train our youth to master all of our cultural arts through the Maori Arts and Crafts Institute. 2. That’s amazing. We were talking earlier how there wasn’t a name for the Maori before the colonizers came, before the Queen named you? Arekatera : Yup, we were just using tribal names before 1769. The term Maori is a word for native of and only came about after Europeans came to New Zealand. We all had different ancestry from different tribes but all of a sudden we became homogenized because it was easier for Europeans to deal with a single race. 3. The fact that you guys have come out of colonization and are rockin’ out with indigenous cultural diplomacy is big. It’s like wow, you’re presenting the UN this huge symbol, this huge offering. The New Zealand Rugby team does hakas before games.You would never see American footballers doing a Native-American dance or something. It seems Maori are leading the way for other indigenous cultures. The importance of preserving and “future-proofing” cultural identity to the Maori people is tantamount to the biggest success of your culture. What do you think of our current times where people are massively self-obsessed yet lack identity? Arekatera : The importance of myself knowing who I am and where I come, knowing my identity, enables me to stand in this world that is ever changing guarded from the pressures of extreme powers that want to make things exactly the same. I don’t think the world needs that. I think the world is a better place if everyone is allowed to stand and speak their own language and foster their own cultures. I have my own voice, my own powers. My ancestors gave me tools to survive no matter how the world treated us. For me, that’s important. Wearing our identity on our skin, that’s important. For me, it’s recognizing the journeys and struggles they had to get us to where we are now. That in itself speaks of the importance of identity. 4. 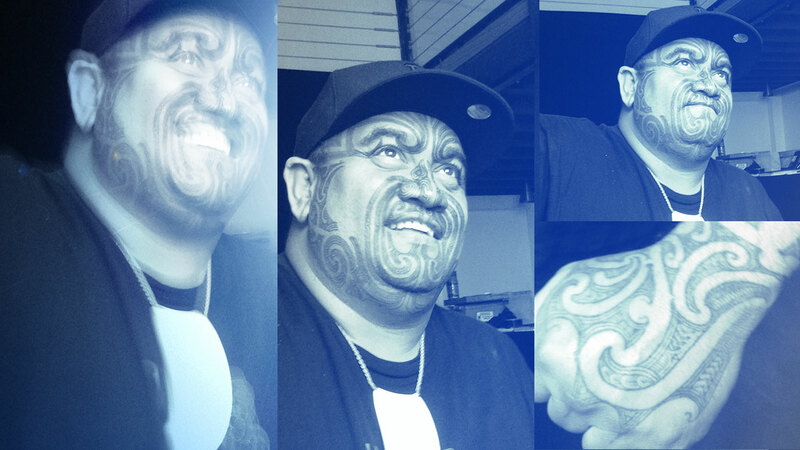 Moko (Maori tattoos) are a huge part of identity and your people as much as artwork…which is connected to the light and shadow motif in Maori folklore. How does this idea that all your knowledge comes from an inextricable relationship with light, according to a story your former director Karl Johnston shared with me, play into your identity? For example, how Maori wood carvers are known as the carvers of light and shadow. Arekatera : Yes, excellent. Well, the word ‘art’ didn’t even exist for us. Everything had a function. The west coast tribes were influenced by the ocean so you start to see more sinuous type forms whereas the east coast was rectilinear. Identity is about response to the environment or rather how do we capture that knowledge about the land we’ve taken through observation. Q: [pointing to a beautiful ornament on his neck] What is that, man? 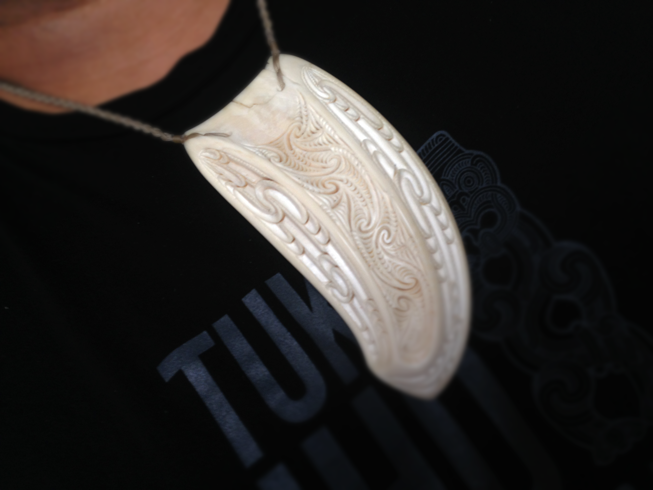 A: It’s a whale tooth a great artist bro of mine made, Rangi Kipa. He’s a great Maori artist that has made stuff for celebrities. These are highly prized, it’s worth more to me than gold. Q: I can feel the power coming off of it. A: This is something I’ll keep in my family to hand down through the generations. Q: So you’re a sculptor, a tattoo artist, a musician, and your friends are evolved artists as well. The evolution of Maori culture has now turned into an economy and you are living off what you do, what you love and who you are. That’s the goal of everyone I know, for sure, how does that feel? 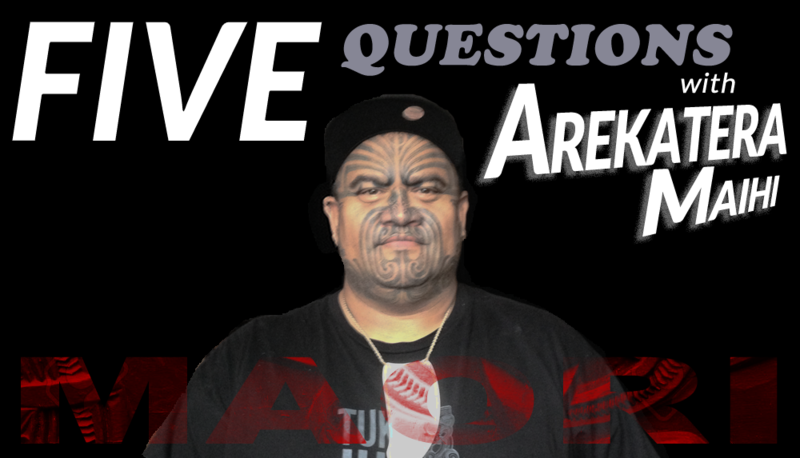 A: We’ve been lucky over the years but guys like Rangi Kipa they’ve created such great works that it’s created high demand for stuff so we are living off the back of that but we’re also maintaining it. Promoting it. Q: Classic Maori Films like “Once Were Warriors” and “Boy” are also part of that, but it’s not just about exporting culture out of the Maori, there’s a whole mystical and philosophical underpinning here. Q: What do you like to do in your downtime if you have any? What do you enjoy doing when you go back home? A: Me, I like to just relax because my job is so intense dealing with a lot of people all the time, different projects that I’m working on, so my downtime is spent playing music and relaxing with my family. It’s pretty boring. Especially now since we’re travelling the world. Just spending time with my daughter and my wife, going home and recalibrating to the next direction. Above images/video. 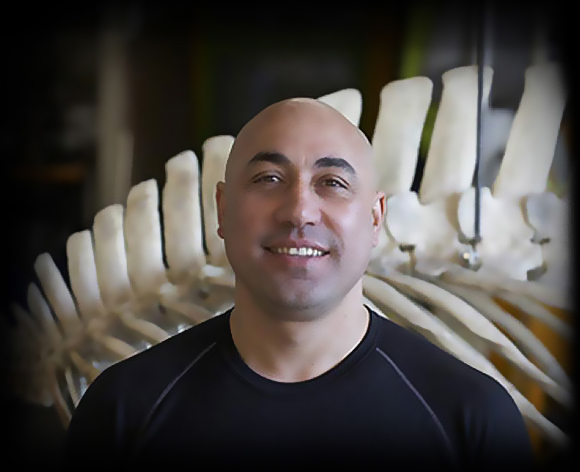 (a) Arekatera’s whale tooth necklace gifted to him by Rangi Kipa. 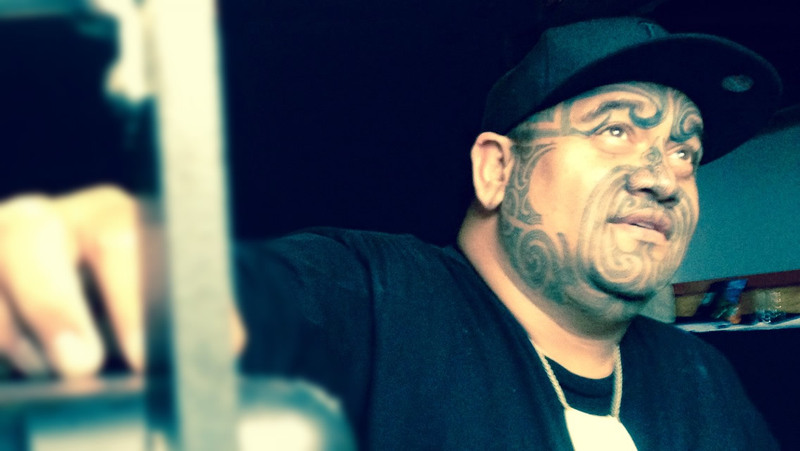 (b) Maori Artist Rangi Kipa himself whose sculpture, carvings and taa moko are at the forefront of contemporary Maori art. (c) Trailer to ‘Boy’, a hilarious coming-of-age Maori indie film. I want to talk about Standing Rock a little bit and get your feedback on what’s going on there. Arekatera : From our position the Maori have experienced a similar placement of public roads through traditional sacred sites but things now are stopped before that sh*t happens. Over here, everyone just keeps shifting the goal posts. There’s so many inconsistencies in how natives are treated here. I have a bro whose eye was smashed there, he was up there protesting and he was shot in the eye. Now he’s blind in one eye but that hasn’t stopped him – he’s still working fighting for the cause. Yea, there’s a lot of disrespect here. It all comes down to listening to the people and the love of the land and what it means to them. I suppose when you don’t have that thinking in your system you don’t give a sh*t.
Q : Do you think the government is playing a power game? Above video. Maori performing a Haka in front of the sacred waters of Pohutu Geyser, in support of our Indigenous brothers and sisters at Standing Rock. Last question, what do you see looking ahead and if you had a message to us local Venetians here, who are sort of trapped in a new form of zombie identity-less tech colonization, what would it be? Arekatera: Hahaha…well, for us its not about dictating to other indigenous cultures on what to do. It’s about solidifying what we’re doing now because you can grow too fast and get skinny. Skinny? Lol, no pun intended? Arekatera: Spread thin, y’know. What I learned in the last thirty to forty years is the Maori people have been sprinting to get to where we are at now. We’ve got our identity back, we’ve got the art back, and one of the boys was talking about how the language is coming back but it’s not there yet. If culture is to survive you’ve got to have your language. We’ve done really well as a nation but only 22% of us speak Maori. As far as our visual language, it’s sophisticated and pumping but the spoken language needs work. I love how critical you are of your culture. Other cultures can’t do that. Arekatera: It’s like this bro, when people see Maori around the world they all assume every one of us does haka. That’s not true. It’s like saying every Mexican knows how to make tacos. Arekatera: Right, and I don’t want people to think that. I want them to understand no, no, not all of us are the same. Again, we’re getting there and as long as you make sure our children speak our language then the population is going to grow. I have to be honest, or else I’m lying. It seems honest self-analysis is part of the Maori DNA. Arekatera: You have to critique every aspect of our culture. Most cultures don’t have any metric of what 'better' is – there is no definition or way to the light. I don’t think this is a conversation I can have with other cultures. Arekatera: Maybe you can. I think, as far as my message to you and the locals in Venice goes, its the ol’ keep your head up! Man, Venice is a melting pot of some good people, some hard people, some really tough people I think. And they’re sharing – you know, but it’s just like in any other society – there are givers and takers. The Maori stand an example of harmonious sharing of cultural art and history by the indigenous population of New Zealand who have conquered their colonized past by integrating a rich sacred legacy with “Culturalpeneurship”, a concept uniquely their own, rising above the normalized marginalization of similar populations around the globe. Visit the Maori Arts and Crafts Institute to find out more. 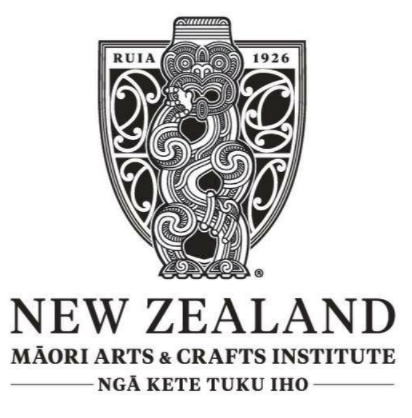 The New Zealand Maori Arts and Crafts Institute Act (1963) sets out the Institute as a legal entity, as well as defining its functions to preserve, promote and perpetuate Maori arts and crafts. It is this legislation that governs the day to day activities of both NZMACI and Te Puia. 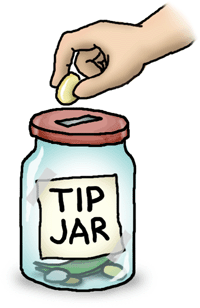 If you enjoyed this content please consider making a small donation to the Abbot Skinny by clicking on the tip jar. Thank you.